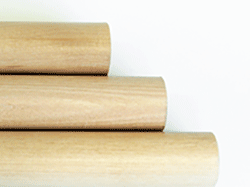 Poplar is the lowest cost USA sourced and made hardwood for dowels and most reliable for longer lengths. 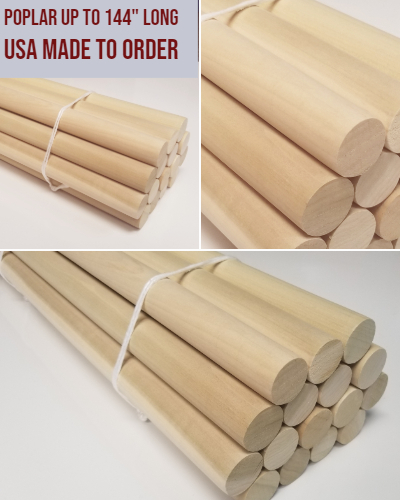 USA Made, Kiln dried Poplar Dowel Rods - clear, smooth and accurately sized. 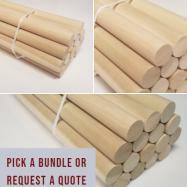 Click Here to Request a Quote by Length up to 144" (12 feet) and Diameter up to 4 inches. Contact Us for a custom length up to 12 feet long. We always quote on sizes above 48" as there can be variability based on the input raw materials. 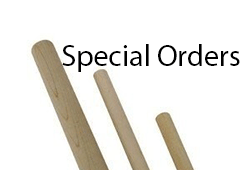 2) Mix & Match bundle quantities of any of our Poplar, Maple, Oak, Cherry, Walnut, Hickory or Ash wood dowel rods to get the best price per box. 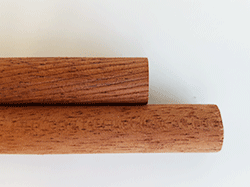 About the hardwood we turn into Poplar Dowels. 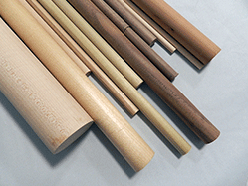 Sapwood from yellow-poplar is sometimes called white poplar or whitewood. Yellow poplar grows from Connecticut and New York southward to Florida and westward to Missouri. 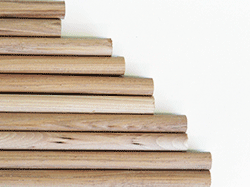 The greatest commercial production of yellow poplar lumber is in the South and Southeast. Yellow-poplar sapwood is white and frequently several centimeters wide. 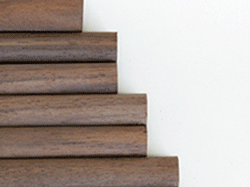 The wood is generally straight grained and comparatively uniform in texture. 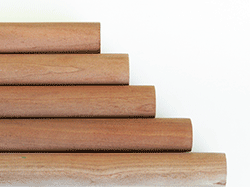 Slow-grown wood is moderately light in weight and moderately low in bending strength, moderately soft, and moderately low in shock resistance. The wood has moderately high shrinkage when dried from a green condition, but it is not difficult to dry and is stable after drying. The lumber is used primarily for furniture, interior moulding, siding, cabinets, musical instruments, and engineered wood composites. Boxes, pallets, and crates are made from lower-grade stock. 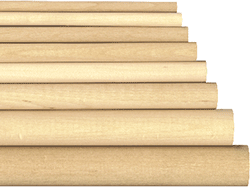 Yellow-poplar is also made into plywood for paneling, furniture, piano cases, and various other special products. USA Made To Order: Allow Production Time of 2-4 weeks. Need them faster or a different bundle? Contact us and we'll do our best. » Starting at 1/4", up to 1-3/8"